The VW Fox is a popular Volkswagen car that is available in two different versions. You can choose to buy a 3- or a 5-door hatchback. 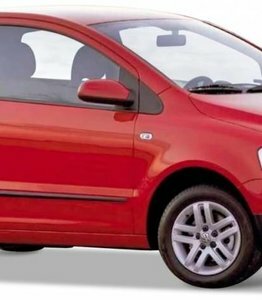 The car was introduced to the market in the year 2005 and had to make the previous VW Lupo forget. The VW Fox immediately enjoyed considerable popularity and is still frequently traded on the second-hand market. The popularity of the VW Fox has ensured that any problems or damage with this vehicle will soon come to the fore. However, that is quite normal. Take glass damage, for example. Damaged windscreens, for example due to rubble, can occur with any type of car. Do you also have to do with this and are you therefore looking for interesting possibilities with regard to the windscreen replacement of your VW Fox? In that case, you are at the right place here! A damaged VW Fox windscreen? Quite annoying! Replacing a damaged windscreen is of course never fun. Whichever way you look at it, it is a cost item that you did not initially take into account. However, a windscreen replacement of a VW Fox is not always required. What if, for example, an asterisk simply came into being as a result of rubble? In that case, it is very easy to solve in the majority of cases. A completely different story becomes one at the moment when a crack has appeared in your windscreen or it has been completely shattered. In both cases, replacing the windscreen of the VW Fox is the only choice you still have. It is an absolute must to be well aware of the cost of a VW Fox windscreen. It is striking that the VW Fox in Europe has only been published as a three-door version. On other continents, the choice was much more extensive. Not only was there a 5-door version released, but also a mini SUV version as well as a station wagon/MPV. Even more striking is the fact that the latter had four different names, depending on the market on which it was launched. These were Suran, SpaceFox, Fox Plus and Sportvan. In any case, there is a very good chance that you will have a 3-door VW Fox, unless you have chosen to import another version. In any case, if you are dealing with a damaged car window, you will want to have a good idea of the different car windows on the market including the cost of it. The price of a VW Fox windscreen can in any case be considerably reduced by choosing to buy an after market car window. This automotive glass does not have a brand logo compared to an original one, which means that it cannot be sold solely by authorised brand dealers. This makes an important difference in terms of cost. In terms of quality, however, there is no difference between the two car windows. Replace the windscreen of your VW Fox yourself? When you have to do with damage to the windscreen of your VW Fox, there are two things you can do. You can choose to outsource the repair of the glass damage, but it is also possible to take care of this for your own account. This is particularly interesting for hobbyists and garage owners. After all, they have all the knowledge and experience required to carry out this task themselves. The only problem then is finding cheap, yet high-quality automotive glass. Fortunately, we can be of excellent service to you in this respect. Where many of our competitors do not choose to simply sell loose car windows, we do. Moreover, are you a business customer in another country within the European Union? In that case, we also supply intra-Community. This means that no VAT will be charged on your invoice. Or do you let the windscreen replacement of the VW Fox take place? You are always assured of a high quality end result and that without having to take into account a high cost price. Our highly experienced partners can also replace the broken windscreen of your VW Fox at your location. If you are insured for comprehensive or third-party, theft and fire, your deductible may be waived up to an amount of 150 euros. The above makes it clear that having your VW Fox windscreen replaced by one of our FOCWA certified partners is always an interesting choice!